For the last two decades SSG has specialized in helping our clients and their brands stand out in a competitive and cluttered marketplace. From strategic planning and consulting to sponsor alignment and activation, event management, experiential marketing and beyond, our experienced and senior level team will help you reach your brand goals and objectives. SSG was founded in 1997 on the principle of creating differentiating marketing programs for our clients with the highest level of professionalism and integrity that deliver clear and measurable results. Located just two blocks from Bank of America Stadium in Charlotte, NC, the Historic Industrial Supply Building has served as home base for the past 16 years. Our start into the sports marketing arena came through a non-traditional sports agency path as SSG founder Steve Hall parlayed his background in sales and brand promotion at The Gillette Company with his marketing, advertising and promotions experience at Drug Emporium to launch the firm with a broader array of marketing disciplines. Our clients rely on our experience, strategy, candor and counsel to maximize their marketing power. They would be the first to tell you we're different: different in how intensely we listen to them, how passionately we advocate for them, how creatively we construct deals around them, and how seamlessly we work as a team with them. Whether your target is awareness, interest, desire or action (or hopefully all four) our brand communications strategy will hit the mark. SSG is eager to make sure you squeeze every drop of value out of your sponsorship and promotion commitments and we'll help you craft and track the message all the way to the bottom line. We promise to provide high-quality work executed by high-level personnel. We promise to deliver sound strategy, flawless execution and measureable results. We promise to strive for perfection in everything we do. We promise to add value whenever and wherever we can. We promise to deliver our work in a timely and efficient manner. We promise that our Team will be accessible and available when you need us. We promise that you will never be treated as a number. We promise to treat your budget like we treat ours. READ WHAT OTHERS HAVE TO SAY ABOUT US ON OUR TESTIMONIAL PAGE. 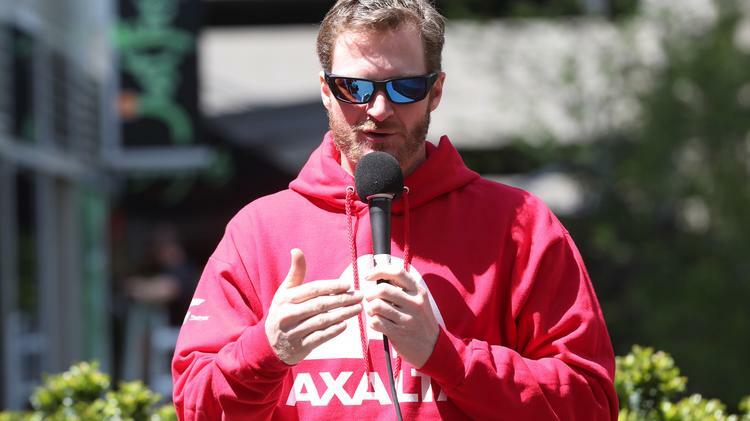 NASCAR faces big challenge with loss of Dale Earnhardt Jr. 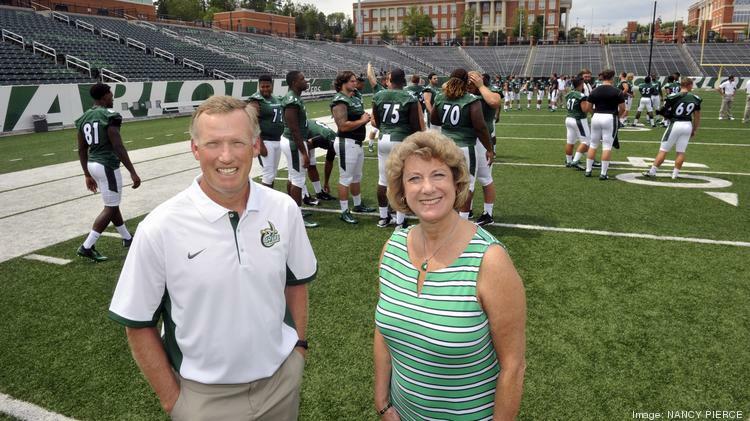 The Charlotte Knights front office wants to make college baseball a larger point of emphasis at BB&T BallPark over the next few years. 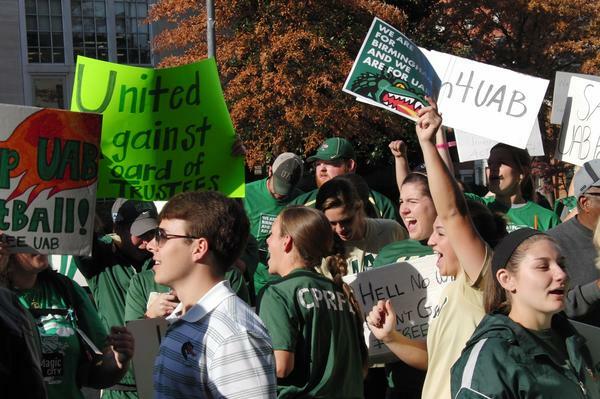 Other urban universities are starting football programs - so why might UAB's die? "The question isn't, can you afford football? It's can you afford to not have it?" That's what Steve Hall told our sister publication in Charlotte. 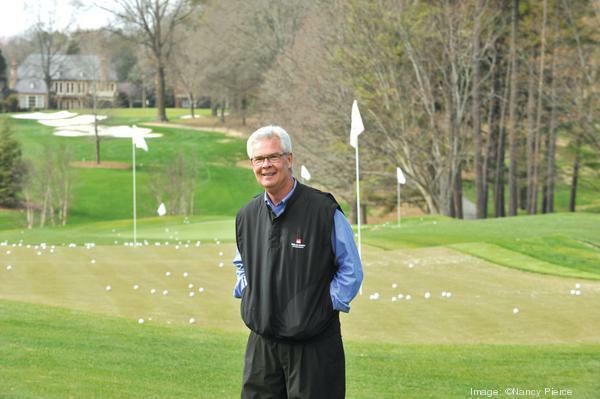 Wells Fargo & Co.’s commitment to extend its title sponsorship of Charlotte’s PGA Tour event didn’t just save a golf tournament. It saved a work force. Despite all the upheaval, all the losing on and off the court, the Charlotte Bobcats and owner Michael Jordan feel confident about the future. The Southeastern Conference and the Belk Bowl have reached a six-year agreement to put an SEC school into Charlotte’s post-season college football game, starting next year. 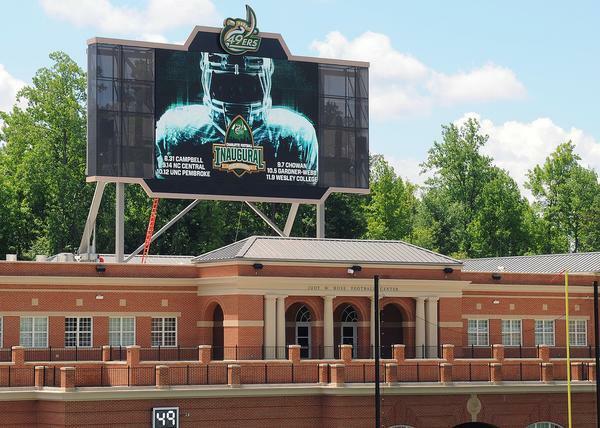 A $10 million donation from Carolina Panthers owner Jerry Richardson solved the university’s search for either a corporate name or individual donor to name the stadium. Quail Hollow Club welcomes the world’s best golfers back to Charlotte this month, but the biggest question beyond whether to expect Tiger and Rory this year is what happens next year. 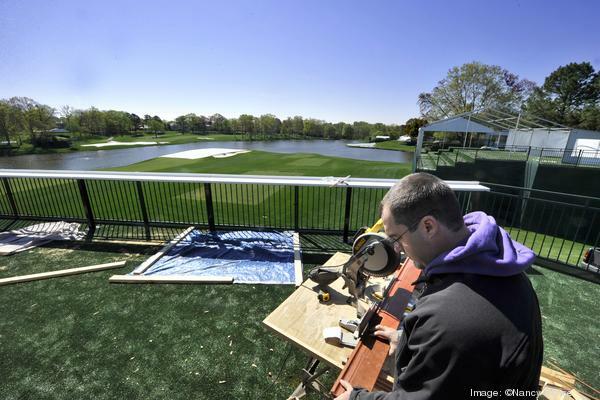 As sellout crowds parade across fairways and lounge along emerald-green gathering spots at Quail Hollow Club this week, it’s clear local companies have made the PGA Tour event the place to be for networking and prospecting. Cam Newton boasts a Heisman Trophy and a national championship on his résumé, but he’s also known for numerous off-field controversies. That combination is likely to fuel interest in Newton as a pitchman in the weeks ahead. 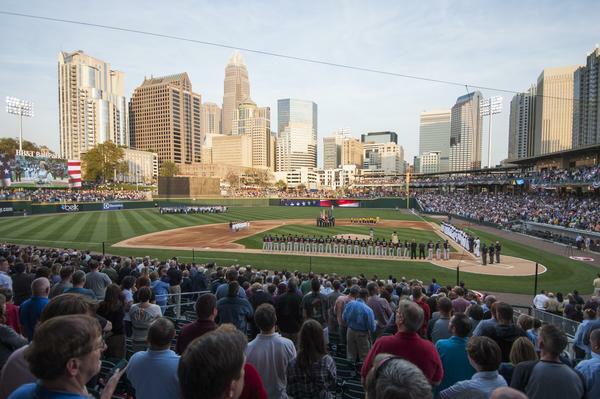 Conversations about the Charlotte Knights tend to focus on two topics: what an uptown ballpark would do for the franchise and the team’s endless struggles to get said stadium built. What started as a standard weekend of college football promotions for Steve Hall evolved into a media whirlwind last Saturday, taking his clients from Clemson to a coveted slot with Matt Lauer and Katie Couric within 48 dizzying hours. "I have worked with Signature Sports Group and its President Steve Hall on several of their client's campaigns and initiatives over the years. My dealings and interactions with them have always been handled in a professional, thorough and efficient manner and I look forward to working on future projects with Steve and the SSG team". 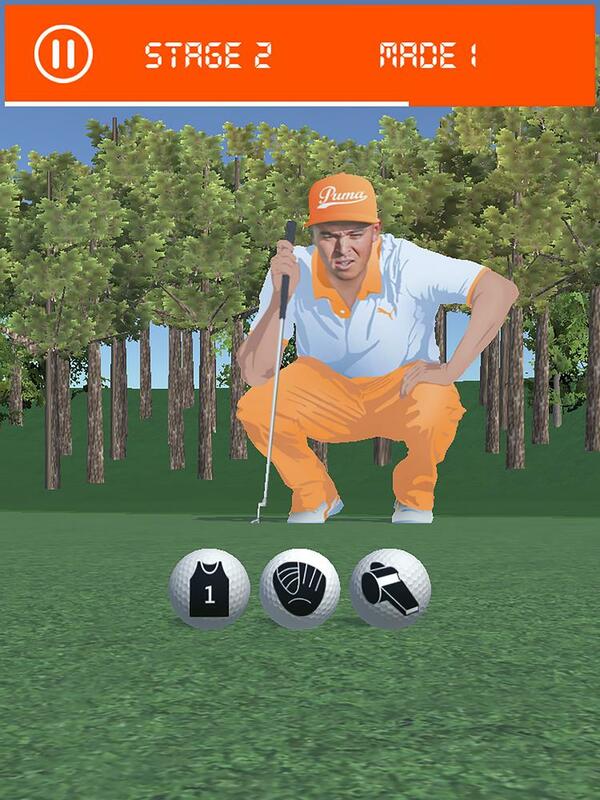 "Signature Sports has been a strategic partner of Smithfield Foods for past nine years. They have been instrumental in growing our consumer brands through College Football and Experiential activation. They share our spirit of teamwork and a desire to win in the marketplace. From providing strategic input against new opportunities to picking up a project mid-stream and seeing it through the finish line, they deliver their commitments on time, in full, and at a very high quality standard. We are proud to call them a partner as the entire team embodies the ideals of partnership, always striving to go above and beyond for us." “ConAgra Foods and Signature Sports Group have worked together for over 15 years and have worked on a variety of brand initiatives including Healthy Choice, Ro-Tel, Wolf Brand Chili and our most recent multi-brand effort around Hungry for Football. They have been incredibly instrumental in creating a growth strategy which includes expanded distribution, penetration and awareness by utilizing partnerships, content development, experiential platforms, in-store demos and merchandising. They understand that dealing with both the consumer and customer is equally important for their clients. The Signature Sports team is one of the hardest working, detail driven and over-delivering agencies I’ve ever worked with”. “I’ve had the pleasure of working with Signature Sports for 10+ years on numerous successful projects. Their experience and expertise ranges from property representation, to branding, to program development and execution. They have developed a team of professionals who truly care about their customers and take great pride in their activation efforts. I’m always confident that their involvement will lead to a successful engagement”. “As a peer company of SSG, I have always admired the relationships they have been able to secure and cultivate. The end result for their business partners has always taken precedent which certainly speaks to their sustained success for the past 17 years. I always look forward to collaborating with SSG on industry topics and trends as Ephus 21 continues to use Signature Sports as a model of how to treat partners, grow relationships, and produce favorable results”. “I have had the opportunity to work with Steve Hall and Signature Sports Group over the past 12 years on a wide variety of promotional programs both as a customer and as a collaborative partner. As a customer I found SSG to consistently deliver on its promise of solid strategy and efficient retail promotions with an assured in-store execution. In my current role with RPM I have found Signature Sports to be a collaborative partner that shares our passion for delivering business solutions for our partners. Steve and his team are high character individuals and an organization to rely on”. Please contact us to learn more about our agency, our work and our partners.